The drug’s actions, observed in isolated human cells in one trial and in rodents in the other, are especially encouraging because they attacked not only the bulk of the tumor cells but also the rare cancer stem cells that are believed to be responsible for most of a cancer’s growth, said Dr. Jerry Shay, professor of cell biology and a senior co-author of both papers. The glioblastoma study appears in the January issue of Clinical Cancer Research. 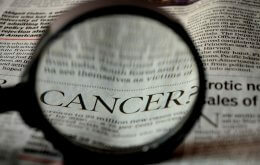 The prostate cancer study is available online in the International Journal of Cancer. In the glioblastoma study, performed in mice, the drug also crossed from the bloodstream into the brain, which is especially important because many drugs are not able to cross the blood-brain barrier. “Because it attacks a mechanism that’s active in most cancers, it might prove to be widely useful, especially when combined with other therapies,” said Dr. Shay. Dr. Shay and his colleagues study telomeres, bits of DNA that help control how many times a cell divides. Telomeres are protective “caps” of DNA on the ends of chromosomes, the structures that contain the body’s genes. As long as telomeres are longer than a certain minimum length, a cell can keep dividing. But telomeres shorten with each cell division, so a cell stops dividing once the telomeres are whittled down to that minimum. In cancer cells, however, an enzyme called telomerase keeps rebuilding the telomeres, so the cell never receives the cue to stop dividing. In essence, they become immortal, dividing endlessly. The drug used in these studies (imetelstat or GRN163L) blocks telomerase. It is already in clinical trials as a potential treatment for breast and lung cancer, as well as for chronic lymphocytic leukemia. Glioblastomas are the most common malignant brain tumors in adults, according to the American Cancer Society. They are difficult to treat with drugs because blood vessels in the brain have tightly constructed walls that allow only a few substances to pass through. The researcher focused on cells called tumor-initiating cells. Some researchers believe that tumors contain a small subset of initiating cells – or cancer stem cells – that are able to initiate and drive tumors and that are often resistant to radiation therapy and chemotherapy. In the glioblastoma study, Dr. Shay and his colleagues found that imetelstat blocked the action of telomerase in isolated tumor-initiating cells as well as the bulk of the tumor cells, eventually killing the cells. Combining imetelstat with radiation and a standard chemotherapy drug made imetelstat even more effective. When the researchers implanted human tumor-initiating cells into rodents, they found that imetelstat was able to enter brain tissue and inhibit telomerase activity. In the prostate cancer study, the researchers isolated tumor-initiating cells from human prostate cancer cells. The cells showed significant telomerase activity. Imetelstat blocked the enzyme’s activity, and telomeres shortened greatly. Other UT Southwestern researchers involved in the glioblastoma study were lead author Dr. Calin Marian, postdoctoral researcher in cell biology; Dr. Steve Cho, postdoctoral researcher in neurology; graduate student Brian McEllin; Dr. Elizabeth Maher, associate professor of internal medicine; Dr. Kimmo Hatanpaa, assistant professor of pathology; Dr. Christopher Madden, associate professor of neurological surgery; Dr. Bruce Mickey, professor of neurological surgery; Dr. Woodring Wright, professor of cell biology; and co-senior author Dr. Robert Bachoo, assistant professor of neurology. Other UT Southwestern researchers involved in the prostate cancer study were lead author Dr. Marian and Dr. Wright.